Graphic novels have been around for a while but there is still confusion about what they are — silly or serious? Kids’ stuff or adult literature? Boxy comic panels or fine art? It is helpful to think of graphic novels as a format that can be all of these things. 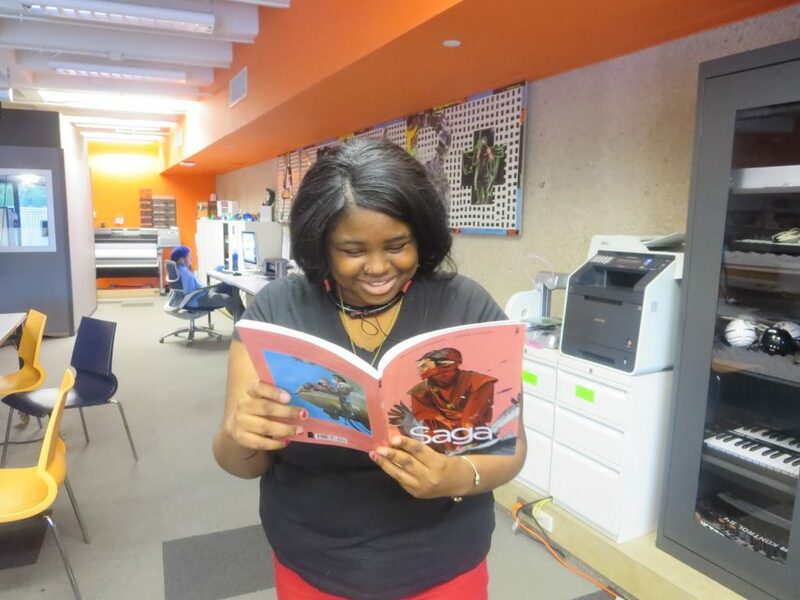 Graphic novels are different from picture books or illustrated books. They use sequential art — the integration of image and text to tell a story — in book form. That said, there are graphic novels that use little, if any text, and others with far more words than pictures. Welcome, experimentalists! Sequential art is a different type of reading with its own set of structures. One must slow down and take in each individual panel or page. Read the images! What does the expression on that character’s face mean? What about the overall color scheme? Does what’s being said in the text match what’s being shown? And what the heck is happening in the background? Stories in graphic format are not all kapow-bam-boom superhero stories. They have infiltrated all genres, from the glorious fantasy/space opera mashup of Brian K. Vaughan and Fiona Staples’s Saga, to thoughtful memoir (Can’t We Talk about Something More Pleasant?, where Roz Chast relates how she deals with aging parents). Jim Ottaviani writes about scientists. High schoolers read Persepolis, by Marjane Satrapi, in their history classes; it is about growing up in pre- and post-revolutionary Iran. Neil Gaiman’s epic Sandman combines fantasy, myth, history, and horror, among other things. Shakespeare has been adapted into graphic format. All topics, all media (painting, digital art, Sharpie, etc. ), and all kinds of great stories are here for the reading. 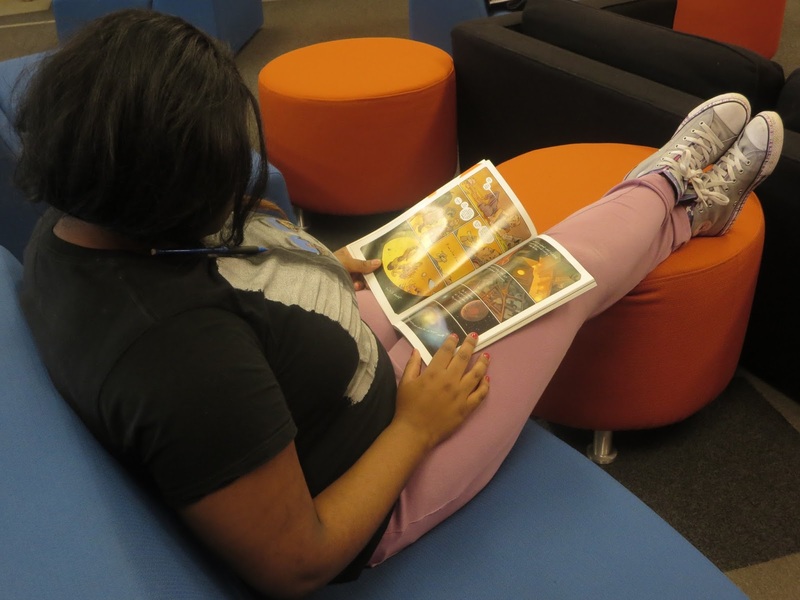 FYI: Just like any book, some graphic novels are better suited for adults than children. Visit ARTLAB+ at the Hirshhorn! Drop-in hours Monday-Friday, 3-7pm for teens aged 13-19. Visit the website to view the weekly schedule and find out more information.